A school garden is the perfect outdoor classroom. 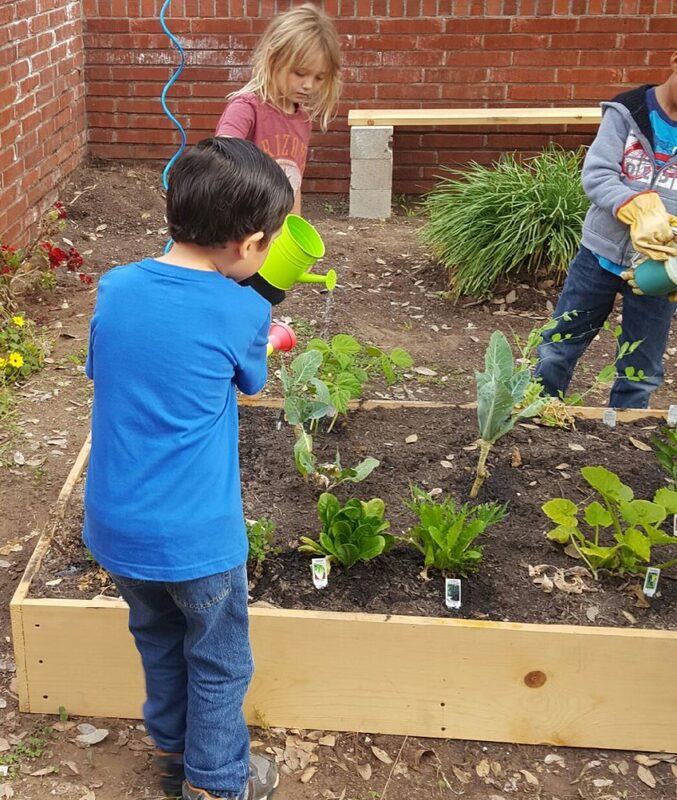 A garden can be used as a space for learning about nutrition and agriculture, for experiencing and exploring nature, and for teaching school subjects such as science, math, writing, reading, art, and music. Since 1999, the RCD has provided resources, training, and information to K-12 educators interested in teaching in the garden and encouraging students to appreciate fresh food and learn about the food cycle. 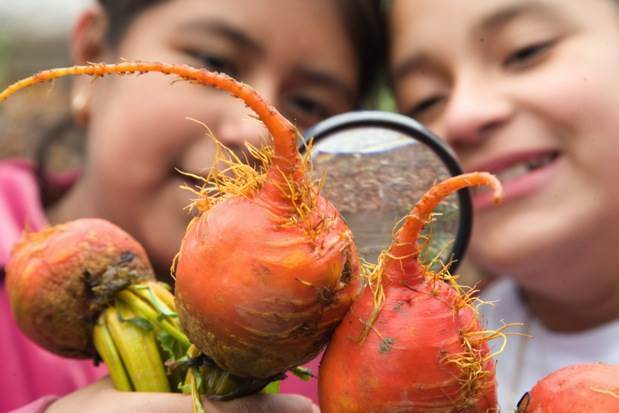 In the past, we have worked on state-wide partnership programs to deliver training for school staff and community partners to bring more fresh fruits and vegetables into schools and to use the garden as a tool for teaching about healthy eating. More recently, we have offered short, informal sessions for garden educators and volunteers on topics such as creating a pollinator garden, engaging volunteers, and eating from the garden in partnership with local experts and organizations. We have also collaborated with other organizations providing school garden support to form the San Diego County School Garden Collaborative. With the Collaborative, we developed and delivered a series of short professional development sessions for educators on sustaining and teaching in school gardens. Each year, we coordinate a Plant Giveaway for school gardens with plants generously donated by Altman Plants in Vista. Schools receive a flat of warm season vegetable and herb seedlings and have the option of collecting their plants from one of five pick-up points around the county. Our 2019 annual Plant Giveaway was a huge success with over 2500 plants distributed to local schools around San Diego! Check back here in early 2020 for information on our 10th annual Plant Giveaway! We believe that everyone should have access to grants and free educational events so we publish two newsletters a year to keep schools informed on current opportunities to help their students and garden flourish! Collective School Garden Network (CSGN): Information and resources for planning, planting, teaching in, and sustaining a school garden. Kids Gardening: Lots of gardening tips, educator resources, and grant sources. Life Lab: A wealth of information and resources for creating, sustaining, and teaching in a school garden. Master Gardener Association of San Diego: Sign up to get a Master Gardener to support your school garden, and find info about grants for school gardens. Pollinators in the Garden: Are you interested in attracting more monarch butterflies and other pollinating insects to your school garden? Check out our Milkweed for Monarchs program!